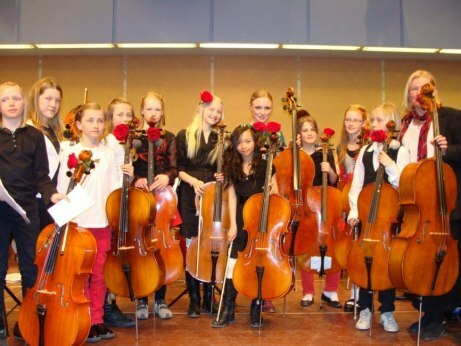 Cellist Beata Söderberg's first encounter with the Argentinean tango was in a tango club in New York in 1997. She fell in love with the music and started to go to milongas to learn the dance. After a few years of digging deeper into the traditional tango and the music by Astor Piazzolla she composed her first tangos, a fusion between the melancholia of the Scandinavian folk music and the passion of the Argentinean tango spiced up with a bit of jazz. 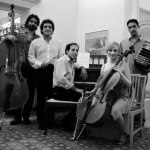 The constellation of instruments in her quintet set a new sound in tango nuevo, with the cello as an unusual leading voice in an ensemble of traditional tango instruments: piano, bandoneon and double bass, and with drums adding a more driven, modern sound to the ensemble. She went to Buenos Aires for the first time in 2004 to record her first album "Beatitudes" together with Argentinean tango musicians. 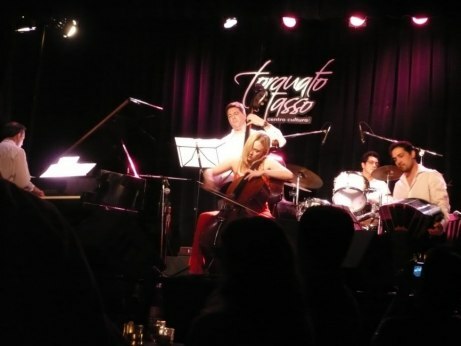 The band Justango was formed, and the album was nominated at Los Premios Carlos Gardel, the Argentinean equivalent of the Grammy Awards, for best new album/artist of Tango Nuevo. After that, Beata and Justango has played regularly in Argentina and toured two times in Sweden. She has recorded 4 more albums with her brilliant quintet of star musicians: Cristian Zárate, piano, Horacio Romo, bandoneon, Roberto Tormo, bass, José Luis Colzani, drums, and Beata herself on the cello.